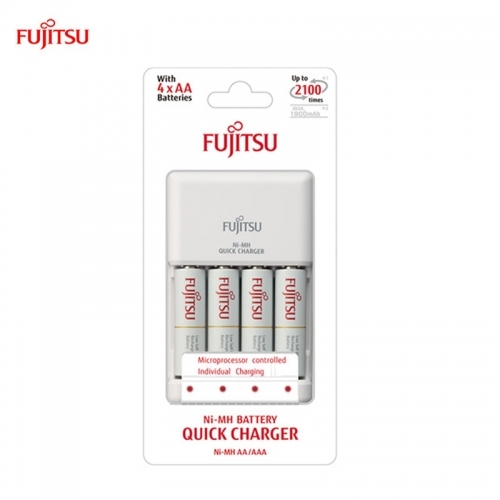 FUJITSU Quick Rechargeable Battery is Made in Japan to provide good performance and quality batteries for our customers. Batteries are Pre-Charged to enable customers to use these batteries directly from the pack. Rechargeable up to 2,100 times, it is Economical & Environmental Friendly. This battery pack comes with 4pcs of AA size rechargeable batteries. 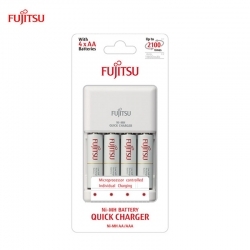 *Recommended to use FUJITSU Charger for charging these batteries.